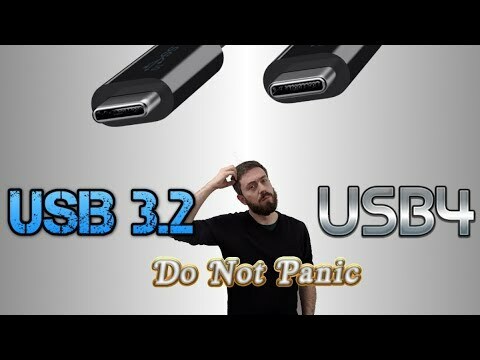 Without having to watch the video, will USB 4 be backward compatible to at least 2? could you imagine how quick this would have pulled the data off the DNC servers ? Faster than a Russian hacker? Many corporations are banning the use of USB’s for security purposes. USB should have been designed as a magnetic connector to prevent breakage and should have been made to work no matter which way it was plugged in. Gold plated contacts are NOT expensive and make for a very sweet connection just held together by rare-earth magnets. Interesting. But I ain’t getting new hardware to get USB4. What I have is just fine. 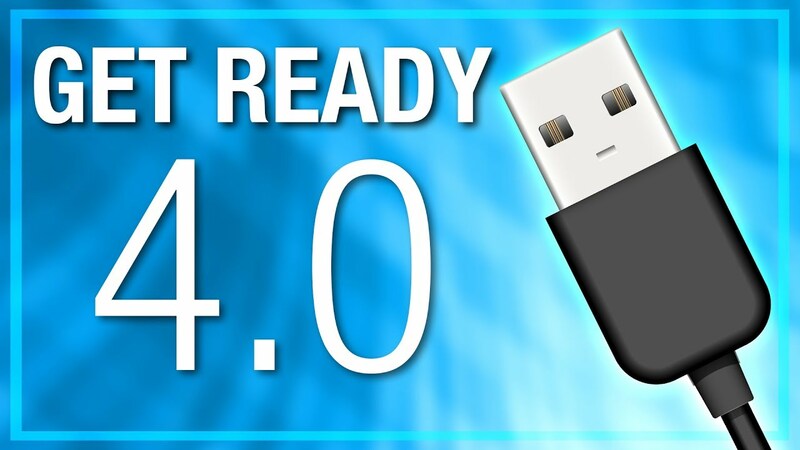 will USB 4 be backward compatible to at least 2? Take a look at the connector in post #2. I'd have to say "no". You'll need new hardware. Until someone creates an interface that will have ports to handle the connectors and facilitate the new speeds. If that's even possible. I wish Tesla was alive. We’d be 20 years past cords. The old addage...all you get from making something idiot-proof is the discovery of more talented idiots! It's a good thing he couldn't pull it off, there was no way to bill, meaning, all power generation would be "free" and "provided by the state". 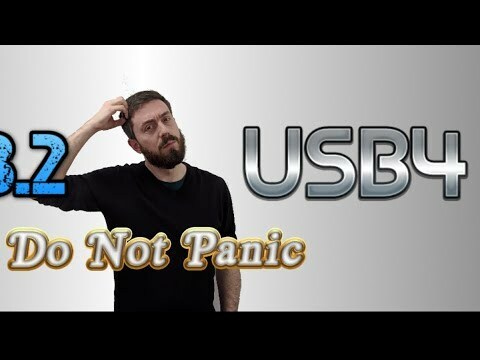 As the guy notes in the vid, USB 1 came out in 1996, 2 in 2000, 3 in 2008, and 4 not until 2019. Despite the 11 year gap between 3 and now, A) it doesn't seem like that was 11 years, and B) computers come with both 2 and 3 (plus the C ports, which aren't really any particular protocol, other than a wiring protocol). The speed of USB 4 and dual channels, plus the proliferation of SSDs, will lead to the end of SATA connections for internal "hard drives", but it will be a long fade. And the connector will have to be more robust, so I could be way off. But SATA will have to up its game or die. Flash drives using 2.0 are still sold (and we're in the middle of a memory glut). 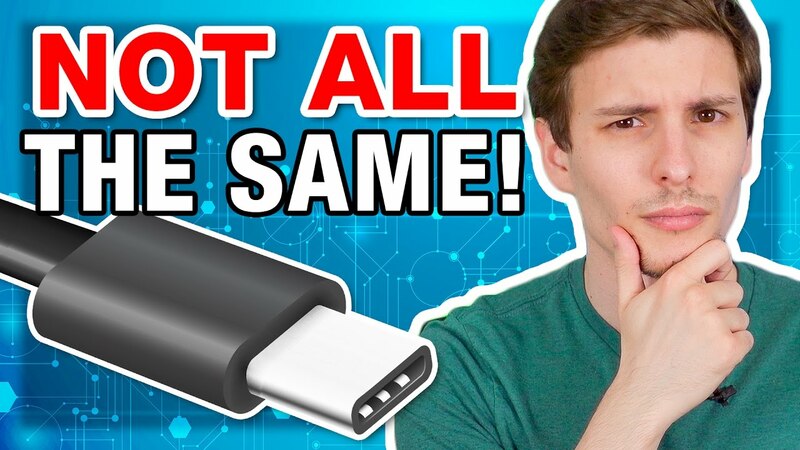 I'd be surprised if we don't see standardization/consolidation into USB 4 speeds with USB-C connectors. Adapters will of course become ubiquitous (and cheap), but the original USB connector will vanish over a period of, say, five years. As Bobalu said, something like a Magsafe connector would be preferable. There are Magsafe-like adaptors now. Best practices for IT dep'ts have started to move that way, as Hardastarboard notes, in part because of confidentiality, but that doesn't help against those sociiopathic USB killer sticks that use internal capacitors to blow out circuits of the CPU when plugged into the USB port. We're all probably old enough to remember when the computer at the office had a floppy drive? I had someone bring a box of old floppies to me (in my then-role as office flunky and data geek) to move them onto a thumb drive. Sure, no problem. We'd had the machines probably three years by that time (this was the previous generation from what we use now) and I'd previously not noticed (or had occasion to) that they had no floppy drives. None of them did. I brought in one of those USB floppy drives from the orphan tech archive at home, and did the transfer. I can see a day when the "diskless workstation" turns into a "portless workstation", and in our case, the IT people disable Bluetooth as well. If the hackers had been medieval monks, hand copying everything, and hand carrying it past Obama's AG's office, it would have been plenty fast enough. When 3 came out, there were those non-end-for-endable cables that shipped with, for example, the Seagate drives (the external Seagates that had those changeable bases, so the user could use the base drive with various different interfaces). That worried me. That got changed. Not a bad idea to buy a couple of those cables (one connector looks normal, the other has a sort of dent in it) and toss ' 'em in the just in case pile. Anyway, yes, USB 1 through USB 3 will work on a USB 4 port. If we see any machines by Christmas which have USB 4, they'll probably be spec-bumped expensive game boxes. There won't be any speed difference between the usual speed of the USB 1 or 2 (or 3) peripheral and plugging it into a USB 4 port. I'd be surprised if the USB 4 hubs don't take advanage of the greater bandwidth, and offer a ton of ports but broken down by 2, 3, and C.
 Hackers ? What hackers ?